During a walk with my family yesterday afternoon, my eyes glanced over toward a wooded spot along the trail. It's a place where my gaze frequently lingered the past few months. 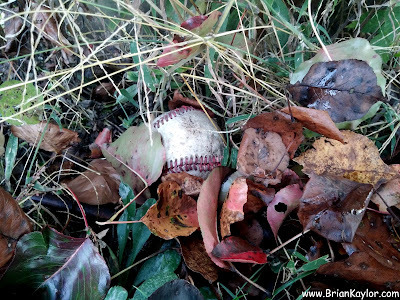 Early in the summer, my three-year-old son found a baseball in the weeds next to a baseball field. He was ecstatic! On the way home, he kept talking about the ball and playing with it in his yard. Then he dropped the ball and it rolled into the woods. I ran up to the spot and went in looking for it, but couldn't find it in the overgrown brush. A thick green blanket kept it hidden. We had a sad evening back then, but I told him we would find it once fall came and the area cleared up a bit. Since then, as I kept slowing down just a bit to look at the area as we walked by, I started doubting if we'd see that ball again. Then last night I spotted it. We stopped to look since fall leaves mostly replaced the formerly lush plants. I slowly swung my head back-and-forth and just about gave up again. I took one step into the woods to look at it from the side angle and almost immediately spotted the ball not more than two feet from the path! My son raced home - as we urged him to hold the ball tightly. A thought popped into my head. Soon Game 5 of the World Series would start. The Kansas City Royals - the team I've rooted for since childhood - could win it all tonight. 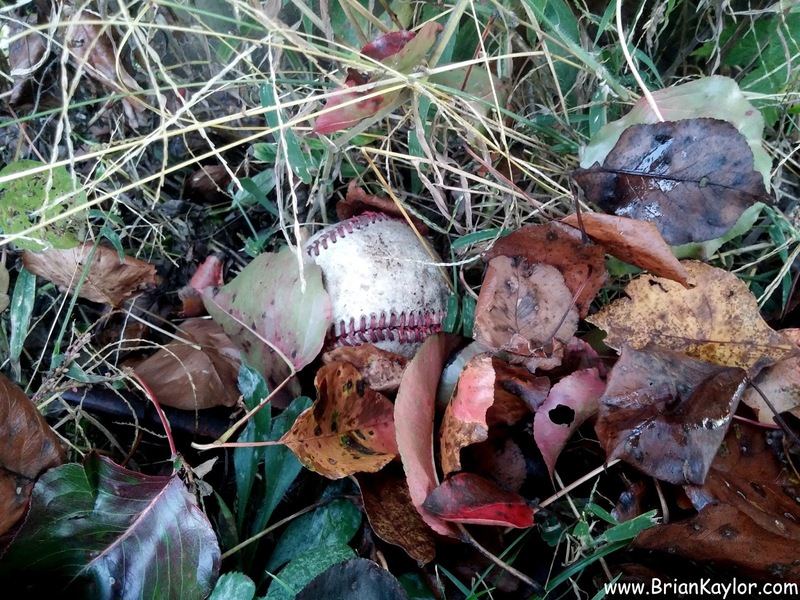 Maybe the found baseball represented a good omen. Hours later, I watched as the game rolled into the ninth inning. The New York Mets led 2-0 and their dominant pitcher returned to the mound to finish off the game. Yet, I still believed. These Royals just refuse to give up. Even before last night, the Royals already had the most come-from-behind wins of a MLB postseason. They captured seven of their eleven playoff wins after being down by at least two runs - and six of those after being down after six innings! Counting last night, three of their four World Series wins came when they still trailed at the start of the eighth inning! And they outscored the Mets 15-1 from the 7th inning on during the five games. The Royals did all that with a unique small-ball style. They blasted only one home run in the whole series - a game-saving shot by Alex Gordon in the bottom of the ninth to send Game 1 into extra innings. Well, there was also Alcides Escobar's inside-the-park home run on their first pitch in Game 1, a crazy feat that hadn't happened in a World Series since 1929 (although many of us rooted for Gordon to do that during Game 7 last year). It seemed like the perfect start for a Royals World Series. So even as they neared the end of a seemingly lost game, I kept watching with the assumption they would win. Of course, sometimes they failed to comeback, like in Game 7 last year or in Game 3 this year. But I knew they would try. And I assumed they would succeed even though statistics and history would tell you they shouldn't. In situations where many teams seem to give up and just go through the motions, these Royals keep trying. They keep looking for the ball. They keep following their mantra of just "keep the line moving." Few big hits, but lots of small ones in a row. And so when Lorenzo Cain worked a walk to start the ninth, Royals legend George Brett remarked, "I've seen this movie before." Yes, we have. Cain stole second and then came home on a hit by Eric Hosmer, who then crazily rushed home on a gutsy move that could've ended the game. But, of course, he made it. Royals fans watching - and perhaps even many Mets fans - knew the Royals would find some wild way to even up the score. Three innings later, a typical Royals burst occurred as they crushed the Mets by five runs. The game felt like the perfect close for this team. There's something inspiring about a group that just won't quit. 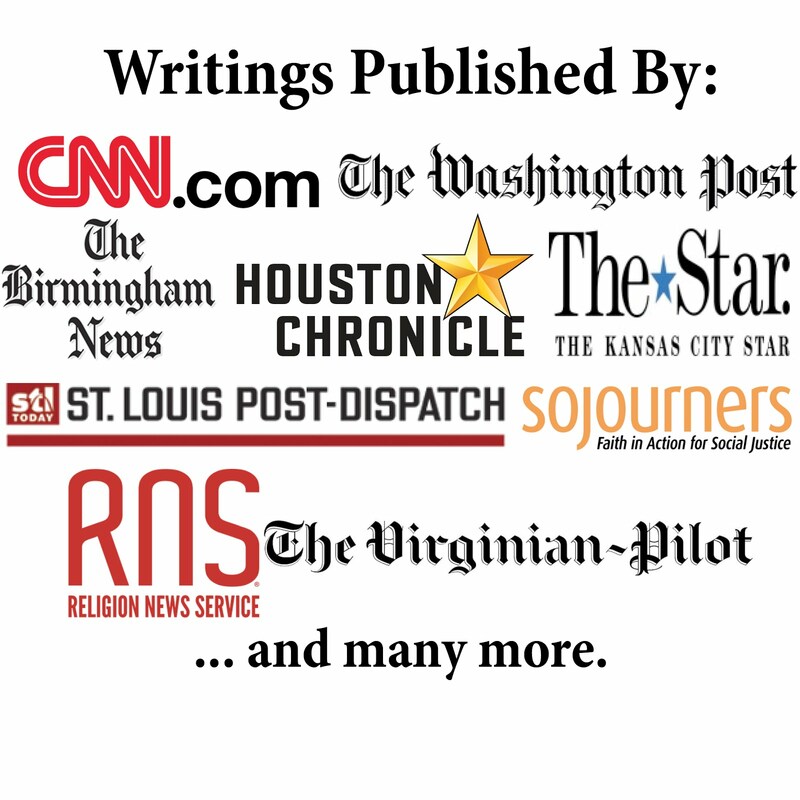 As theologian Scot McKnight - a professor at Northern Seminary and a Cubs fan - remarked on Twitter during the game last night, "Wow, the Royals do not quit." No, they do not. McKnight didn't offer a theological connection, but it's inspiring to watch people who refuse to give up. Even when they don't win (like last year), it's great to watch. And it's even more exciting when they do win. Somehow. Despite being derided by the "experts." Despite being down. May we always have that determination to keep striving. Keep looking for the ball you need to keep the line moving. I actually had a person measure on the wood to observe them with the section direction plus just about straight away saw a tennis ball only not one but two paws with the avenue!